The LCF lemur reserve in Myakka City, Florida is open to the public one day a year for our annual Open House, which usually takes place in December. If you belong to an AZA-affiliated zoo, your reciprocal membership entitles you to a special invitation and a 30% store discount at the open house. To be among the first to know about our next Open House, subscribe to our E-newsletter. LCF offers husbandry internships at our Myakka City lemur reserve that include onsite housing, professional development opportunities, and experience at an AZA certified-related institution. 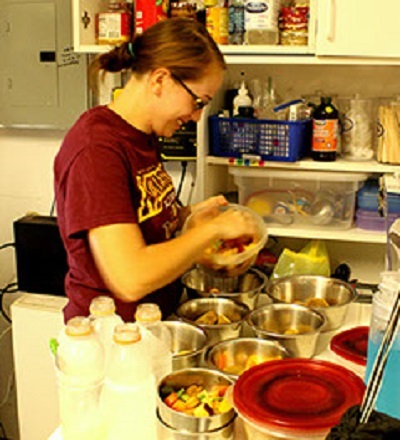 An LCF intern preparing food for distribution and becoming familiar with the nutritional needs of the lemurs at LCF. Donate to LCF and help address the challenges that Madagascar faces, from overpopulation to illiteracy to deforestation. The well-being of people and lemurs is linked. Avoid purchasing rosewood and ebony furniture. Illegal loggers will stop chopping down trees in Madagascar when selling the wood is no longer profitable. Visit Madagascar as an eco-tourist. When lemurs contribute to livelihoods, their survival becomes a priority. 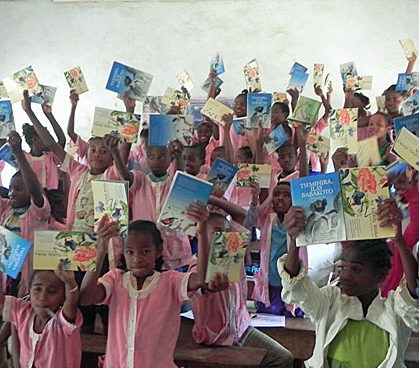 Malagasy students learn about lemurs from LCF’s bilingual Ako picture book series, in which story and science converge. Spread the word to friends, family, and your community. 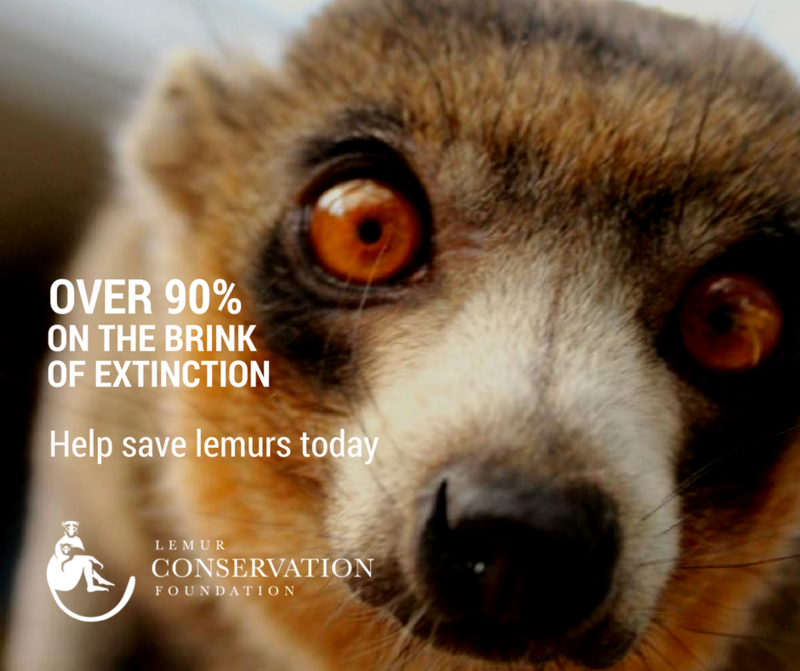 Many people don’t know that over 90% of lemur species are threatened with extinction. Follow LCF on Facebook, Twitter, and Instagram and share our posts. Learn more about lemurs and share what you discover. Make lemurs the topic of a science project, a book club discussion, or a club meeting. LCF refers to the IUCN Red List of Threatened Species for lemurs’ extinction status. Conserve energy and recycle waste. Global environmental challenges such as climate change can upset the delicate balance of flora and fauna in Madagascar. Welcome a dog or cat in your house, but leave lemurs in the forest. Lemurs—and other primates—do not make good pets. 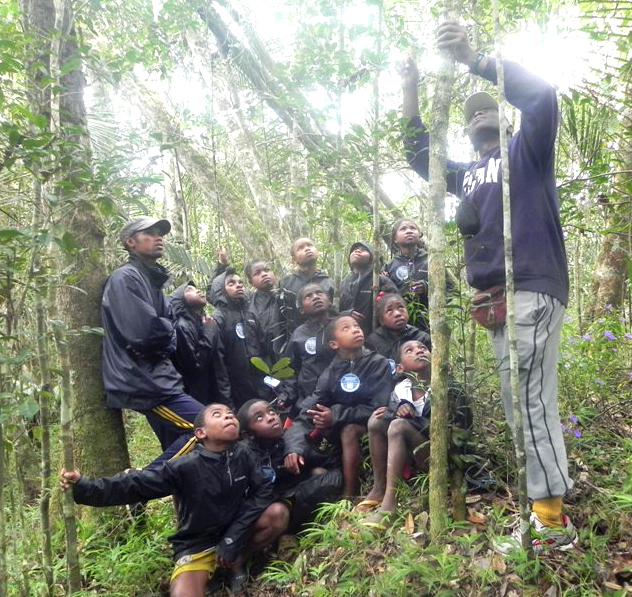 An LCF-supported 3-day class trip to the ASSR rainforest, where students learn about the delicate balance of flora and fauna in Madagascar.